You will need a healthy sense of humor to appreciate these seriously sickening microbes. 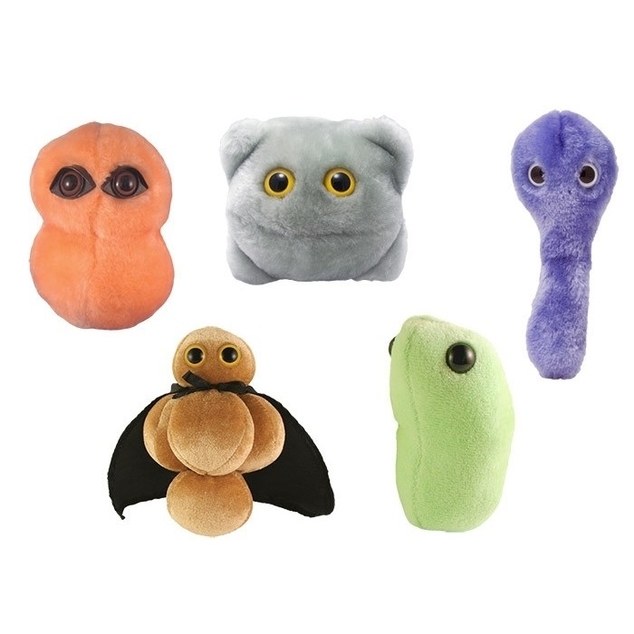 These viruses and bacteria are a super way to spread awareness and laughs. 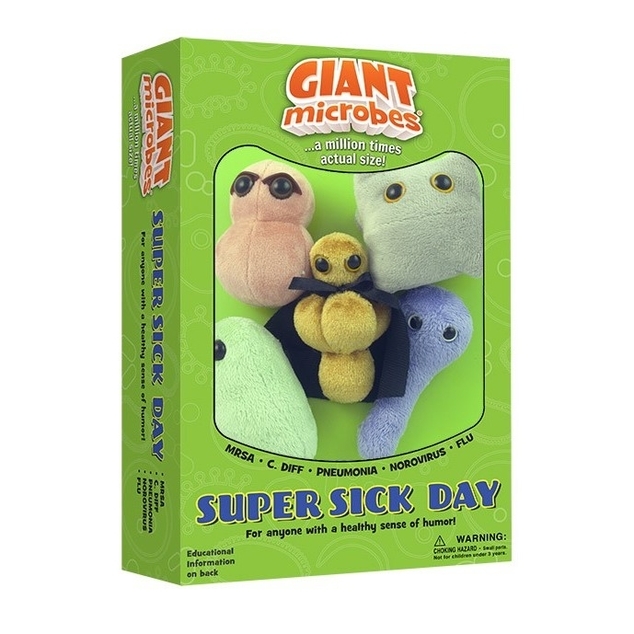 Super Sick Day themed gift box includes these mini microbes: MRSA, Pneumonia, Norovirus, Flu and C. Diff.